Golf is a sport that requires skill, accuracy and plenty of practice to truly excel at. But that doesn't mean you can't embrace technology to help improve your game faster. The best golf GPS watch can do everything from track your shots and keep score, to providing up-to-date information on the course you’re playing. Golf watches store the data of thousands of courses across the world, enabling you to get course-specific information on your wrist as you play. You’ll have access to data on everything from course layout to hazards. Knowledge is power, and these watches will certainly keep you ahead of the game. GPS location technology helps boost your golf game by showing you how far you are from the pin at any time. Some models offer more advanced features like the ability to highlight elevation changes to the player. This all helps remove the guesswork from your next shot. It used to be that golf scores were marked down on a card that would inevitably get lost or destroyed in your golf bag. Not any more. GPS golf watches track and log your score as you play, leaving you to focus completely on the game itself. The best golf GPS watch is probably the Garmin Approach S60 GPS Premium Watch. In fact, the majority of the top golf GPS watches are made by Garmin. In this guide we've also introduced two new contenders from Callaway and Golf Buddy. The best GPS golf watches come preloaded with at least 30,000 courses from around the world and are able to measure course elevation as well as your distance from the pin to help improve each shot. For long days on the green it’s important to choose a watch that’s comfortable, with ample battery life and a bright screen that’s clear even in direct sunlight. The Garmin Approach S60 GPS Premium Watch might be the priciest on our list, but for good reason. It ticks all the above boxes, in addition to featuring a large 1.2-inch colour touchscreen, over 40,000 course profiles on-board and activity tracking for a huge range of sports. Okay, so Garmin still take the top spot in our best golf GPS watch list. If you’re looking for next level assistance on the course, we’re pretty sure no watch right now is going to beat the Garmin Approach S60 when it comes to tech specs and features. From the colour CourseView mapping that helps you to gain accurate info on yardages to PlaysLike Distance which helps you with uphill and downhill shots, there’s so much that this watch has to boast about. As an everyday watch it’s pretty cool, too, thanks to a scratch resistant bezel and stylish leather strap. When it comes to the necessities, TomTom does it best. It automatically detects your shots so you can analyse and improve your game on the go. It keeps you in tune to the precise distances to the front and back of the green, and lets you know of any hazards nearby so the ball doesn’t go for a swim. 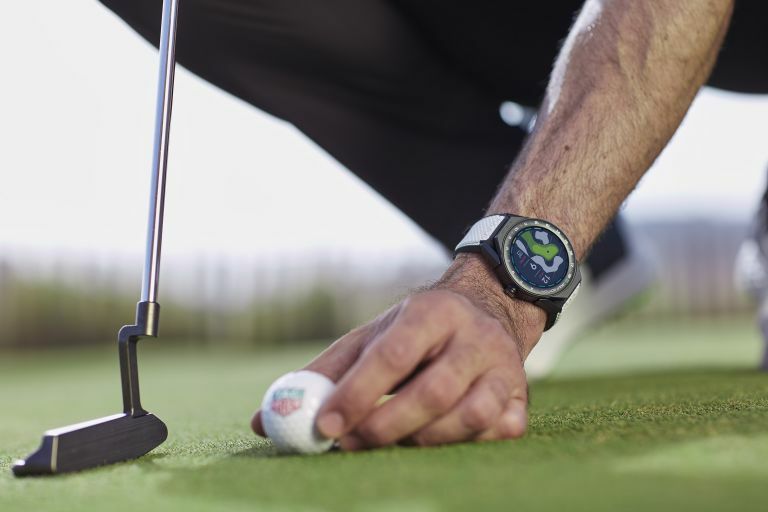 With its post game analysis giving you hole by hole insight into your shot patterns, there’s no reason why you can’t improve your game with this golf GPS watch. This big golf name offers the big features you'd expect from its dedicated golf watch. That means GPS tracking to offer green lay-up and carry distances plus hazards and dog-legs. This will also auto-recognise and track your game so you don't need to fill out a pesky score card. Over 30,000 courses are available and a 12-hour battery life means you can get a full day's golfing in without needing a charge. The display is big and clear so you can get what you need at a glance, leaving you to stay focused on your game. Sleek and lightweight, the little brother of the Garmin Approach S60 pairs up as a great everyday watch. In addition to helping you improve your game with the Garmin Autoshot and giving you the insight into distances on the green, it boasts an inbuilt activity tracker and hooks up to your phone to provide you with smart notifications, whether you’re on the go or on the green. Anyone looking for a great mid-range GPS golf watch should consider this one from Garmin. The large colour screen of the Golf Buddy WTX, which is clear even in daylight, as a welcoming way to view data on over 38,000 courses that it has stored. Thanks to a lift-to-view display you can save battery while still having info access one handed. That means distance and hazard tracking plus a flyover view for each hole. One really nice feature is dynamic green view. This allows you to plan your pitch from the angle of your approach shot. Of course GPS keeps your location accurate throughout and hole progression happens automatically as the watch realises you've moved on. Updates, via the smartphone app, also mean data is kept up to date for your courses. If you’re just getting into golf and fancy a helping hand, this Bushnell GPS golf watch will provide you with all the information you need to make sure your swing’s on par with the rest of the team. It features auto course recognition and auto hole advance with accurate and easy to read distances. It’ll also clue you in to nearby hazards and counts your steps so you can work out how many calories you’ve burned off round the course, and it won’t cost you the earth, either.